Cleaning windows is a job that many of us don’t do often. I’ll admit it has been infrequent for us. One of those “I’ve been meaning to do that…” sort of tasks that just never comes around. Ooops. 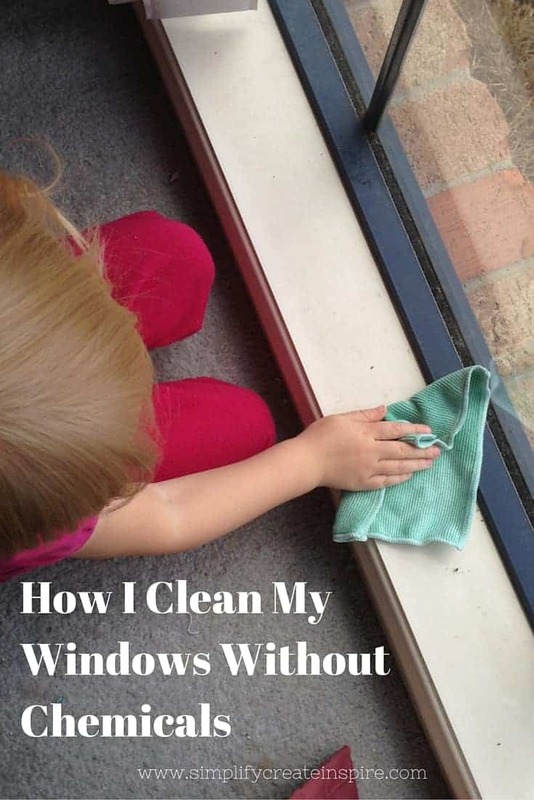 Since we have been on a path to eliminating chemical cleaning products from our household and replacing them with natural cleaning products instead, of course cleaning windows was no exception. This was actually the easiest home conversion of all. 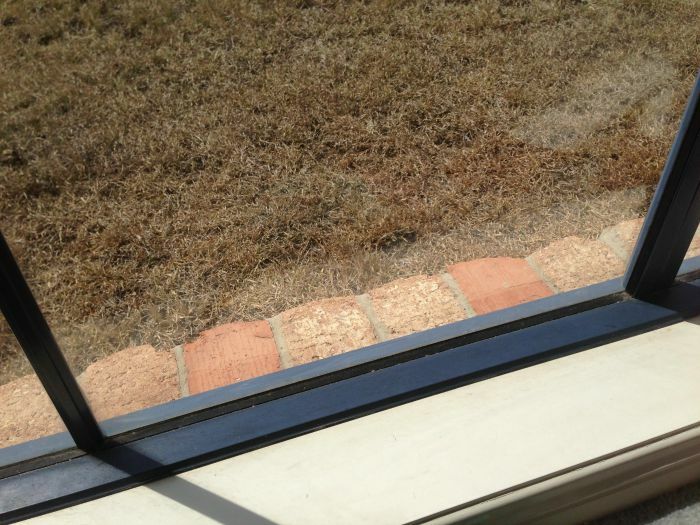 Chemicals aren’t really necessary for cleaning windows, but stubborn dirt can be tough to remove with just water… unless you use the right type of cloth. Recently I was introduced to the amazing Norwex products, and one of their most popular products is the all purpose microfiber enviro cloths. We pretty much use these things for everything around the house now and it is now my number 1 go to item for cleaning windows as well. You can get microfiber cloths similar to the Norwex enviro cloth from many places. I’m not sure if they are as good because I haven’t tried, but I have heard Enjo products are great as well. Even our local K-Mart store has their own version these days as well, so check department stores, home maintenance stores and anywhere that sells cleaning products. The best thing is at least with the Norwex cloth is it is anti bacterial also. Double bonus! Plus they make mini versions that kids love, so since you aren’t using chemicals, you can totally put them to work too! The micro fibre cloth just uses water, so have a spray bottle and squirt your windows then start cleaning your windows with the cloth in circular motions. Some areas may need a little bit more elbow grease but you will find most dirt and marks on your windows come off with ease. 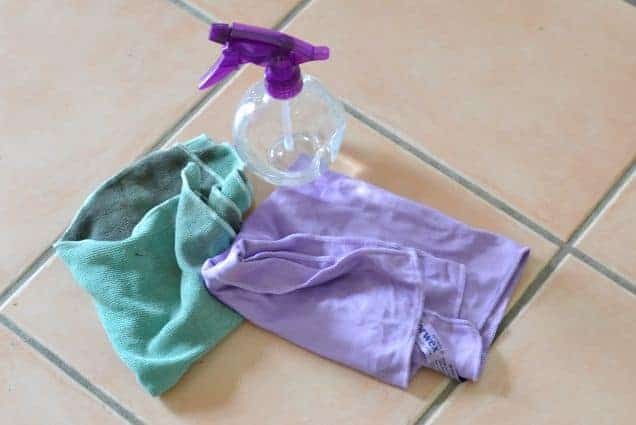 Micro fibre holds a lot of dirt so you should be able to clean your entire house of windows using the one cloth, by simply changing sections and having it folded up so you are only using one square at a time. If your windows are extremely grubby, give it a quick rinse and away you go again. For me, I had a second cloth on hand ready to polish the windows after the dirt was removed. Norwex have their own window cleaning cloth for this which is essentially like a giant glasses cleaner cloth. But any cloth that does not leave residue or fluff would work for this purpose. This ensures a streak free window clean. And that’s all there is to it… cloth, water and you can clean windows without chemicals in no time. Do you clean windows without chemicals or still stick to store brought sprays?